Of Counsel Chris Strunk (San Francisco) will speak at the Defense Research Institute's 4th Annual Cannabis Law Seminar, taking place in Washington, DC, on May 15 from 7:00am to 5:30pm (EDT). The conference will provide the knowledge and strategies needed by professionals, businesses, and insurers to traverse the complex pitfalls and prospects of cannabis legalization successfully. Chris will speak in a presentation titled "Smoke on the Water? Budding Environmental Regulatory and Litigation Concerns Facing the Cannabis Industry," which will take place from 11:15am to 12:00pm (EDT). 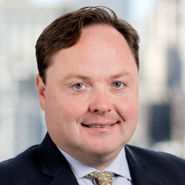 His presentation will focus on identifying environmental and litigation risks affecting the industry and managing those risks as it continues to expand and become an increasingly attractive target for environmental claims, including alleged violations of state environmental statutes, toxic tort claims, and common law nuisance.